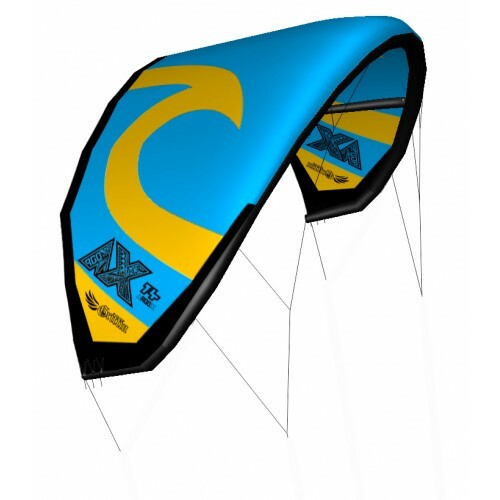 The 2017 ArgoX design comes from 13 years of original kite designs, countless bridle variations, thousands of testing hours with riders of all skill levels and riding styles to design the ultimate all round do everything kite suitable for pro riders, intermediate and beginners. Incorporating into the bridle design a unique 5 point super supportive bride and an original high-performance bridle mod addon makes the AX kite the only kite designed for all riding styles and levels. The Argo has been our most popular kite with excellent online reviews saying it is a kite that can do everything and suite everyone. 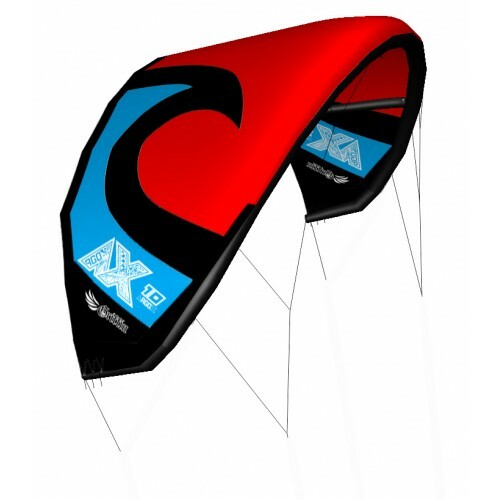 The stability easy launch, free ride, kite looping and features made the kite popular with many rider styles of different skills. 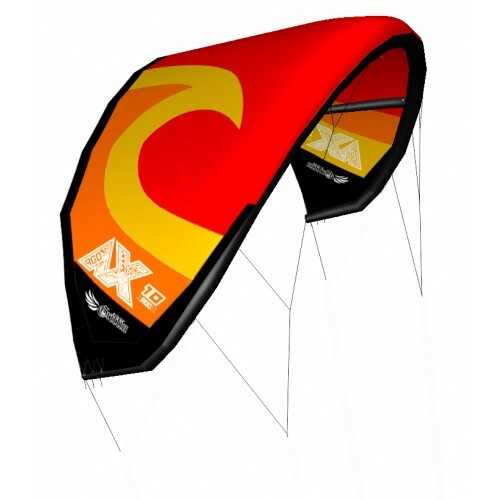 The TRX has been a popular advanced kite with its fast agile turning, excellent drift, light agile feel and top end wind ability. 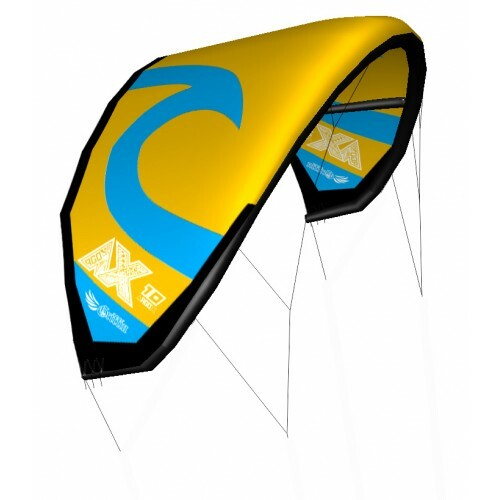 I found that beginners to intermediate could not handle the fast responsiveness of the TRX, and Advanced riders wanted a faster turning Argo kite with more de power on waves. 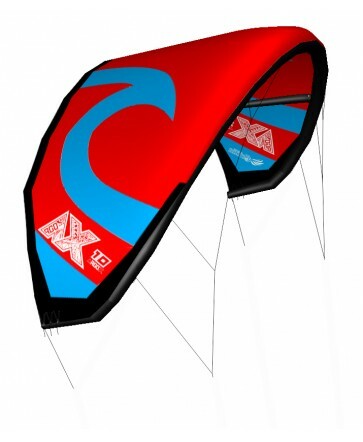 The ArgoX or AX takes the best features from both kites, The AX has more light wind power, more float, higher jumps, even better upwind ability, more de power than the Argo. The AX wave rides, has more de power, faster turning and is as light and fast with the advanced mod added than the TRX. 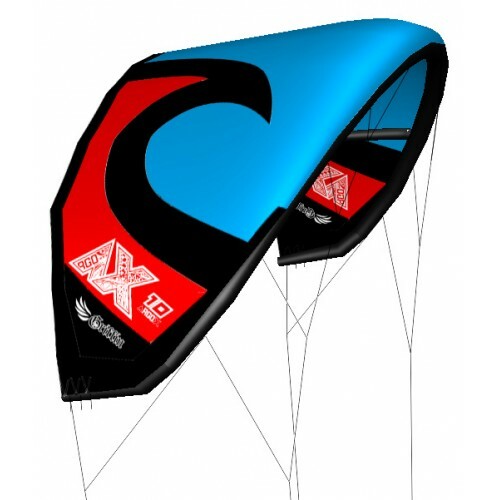 The AX is the most versatile adaptive kite designed thanks to the new bridle alteration mod. 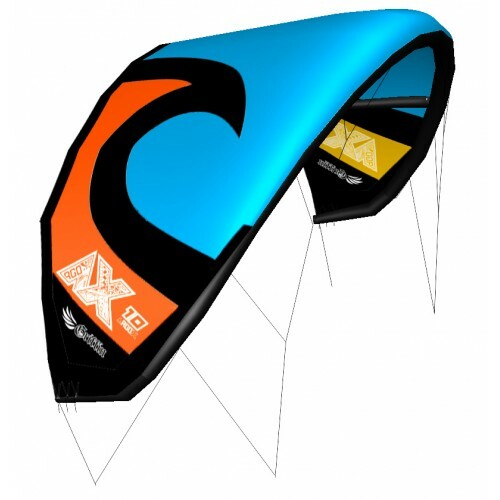 The AX original design kite comes with a short pulley-less bridle suitable for wave riding, free ride, freestyle and all riding skill levels. A short bridle reduces line tangles and catching bridles on the kite, and no pulleys means no wear points on the bridle lines, less repairs, less chance of bridles breaking and longer lasting lines. The out of the bag setup will suite 95% of riders who are just getting into the sport for the first time or have been kiting for many years. Once a rider has reached the 95% mark and want to step up to a super high performance, fast turning, agile kite with quick full power to full de power, there are 4 lines in the bag, which will change the bridle into a super high performance agile kite. Back in 2007, 8 strut kites where very common, they where heavy and slow, the extra weight made the kites unstable in light winds, Today there are 0, 1, 2, 3, 4 strut kites. After using strut less, 3 strut, 2 strut and 4 strut kites I found I prefer 3 strut kites. 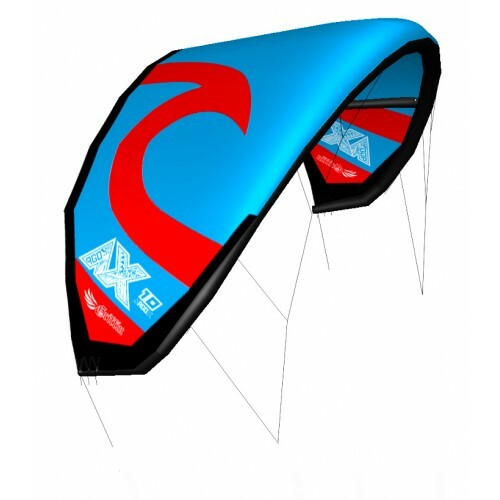 A 3 strut kite is a good combination for keeping the canopy and kite solid during relaunch and in strong gusty winds while keeping the kite light weight. 5 struts start to get to heavy, 0 to 2 struts don't give enough support to the kite shape and canopy. Pulleys on an kite can make a kite feel spongy and defiantly is a weak point with pulleys rubbing against line creating wear leading to snapped bridle lines or regular replacement of bridle lines. Pulleys also cause a kite to hunt the water, this is where the kite feels like it wants to dive towards the water, a little pressure on the bar turning the kite up is needed to prevent this. No pulleys is a more direct connect feet to the kite, there is less water hunting with the kite not wanting to turn to wards the water and no parts of the bridle line under constant wear from sandy pulleys rubbing against bridle line. A pulley less bridle is 100 times harder to get right than a pulley bridle, once optimized a pulley less bridle can turn faster, have more power, more de power and a better feel than a pulley bridle. The combination of a medium aspect kite with a reflex profile and a 10 point pulley less bridle design makes for a incredibly stable kite in light winds, gusty winds and varied conditions. IMPORTANT beginners should not go out in strong winds they are not use to. An advanced rider can handle 30 knots, a beginner learning should learn in light winds 12 knots. The below is a wind range for skilled riders who know how to ride and have experience in strong winds. New sizes made to order 30 days. Default Bridle for all skill levels on the left - The Pro Bridle wwhich is very fast on the right, light, agile, responsive, quick power to depower, for advanced riders only. The change is made by replacing 2 lines in the bridle. The pro bridle is not suitable for most riders who do not have the reflexes and experience to handle a fast kite.